Santa Rosa is a gorgeous place where everything comes together: wine country and farm country, redwood forests and rivers, lakes and ocean. The city is considered part of the North Bay region of San Francisco, just 55 miles north of the Golden Gate Bridge. This vibrant city overflows with all we love about California. 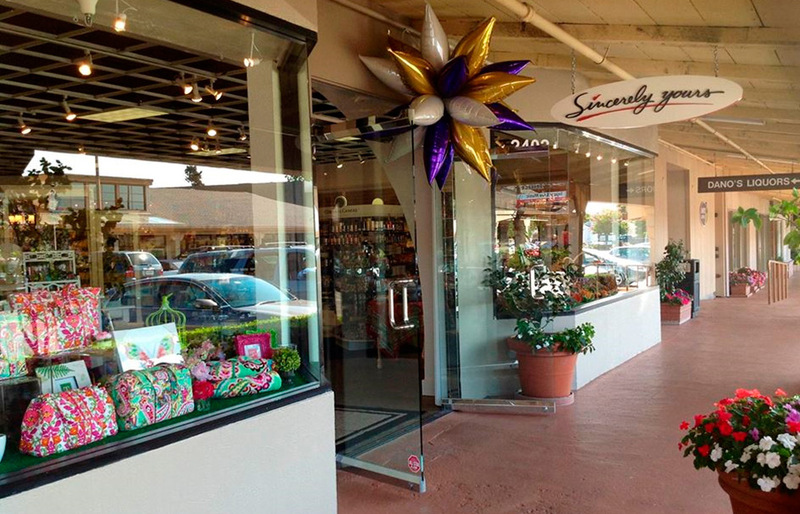 It is here, we find Sincerely Yours, Sonoma County’s premier stationery, invitation and gift store. 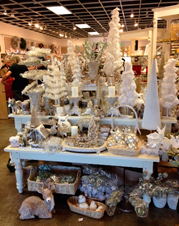 Pamela Layton is the owner and designer behind this bustling store. When we were here they were all decked out for Christmas with a half dozen large displays …which gives one a sense of the size of this store. At 3250 sq. feet, the retail space looks outwardly in size and shape like a Hallmark store, but believe me this is NO Hallmark; Exquisite Italian pottery, imported olive oil soaps and lotions, lovely candles, leather bound journals, exceptional men’s gifts, beautiful handbags, in addition to all the spectacular paper! If you can’t find the perfect gift here… you can’t find it. They are also the exclusive retailer for the complete line of Vera Bradley in Sonoma County. 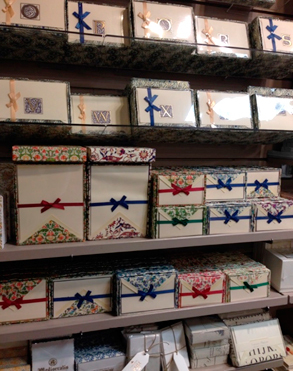 Beautiful paper sets this store apart, as they feature imported lines from Italy and France in addition to 100% cotton paper made in the USA. Each greeting card in their extensive offering is personally selected by the owner, as are the beautiful wrapping papers and fabric ribbons. Sincerely Yours has everything paper…. 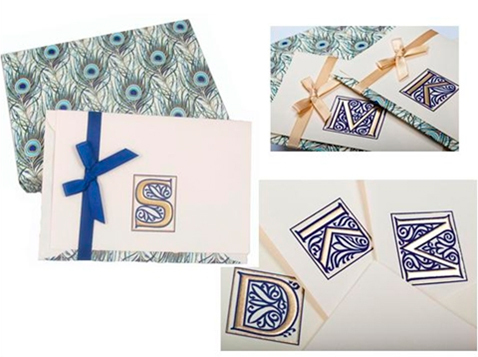 gorgeous notepads, a huge amount of boxed notes, an extensive collection of fine custom invitations for weddings and all of life’s special events. 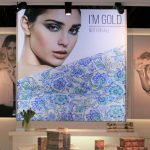 They love working with customers to develop the perfect invitation or announcement; creativity is their specialty. Pamela travels to Italy often, as evident by the Italian pottery and leather in the store. She also has a fine linen store just down the walkway, called Prima Linens, where she retails gorgeous Italian and French linens for bed, bath, table and nightwear, too. Surprisingly, she found Rossi, not in Tuscany, but at the Atlanta gift show. 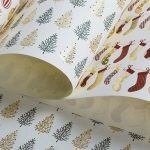 She stocks quite a large amount of journals, notes, wrap and gifts, but says her “best sellers, by far are the initial notes and wrapping papers”. With the prevalence today of emails and evites, receiving a hand-written letter means even more as it conveys a genuine and heartfelt feeling. Sincerely Yours is committed to preserving the tradition of the hand-written note. Their philosophy is,” there is nothing like receiving a beautiful envelope in the mail with a special note inside”.